The British Government has unveiled new legislation which would pave the way for driverless vehicles, including automated trucks. But would it be safe and how would it affect millions of truckers and van drivers? 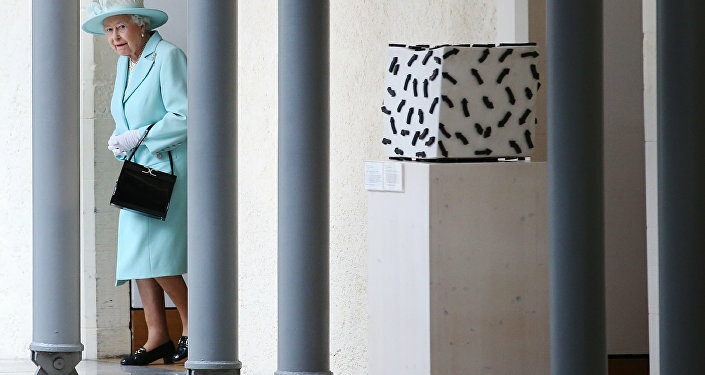 ​The Queen's Speech on Wednesday (June 21) made the news more for what was not in it, rather than what was in it, but one of the 27 new pieces of legislation that was mentioned was an Automated and Electric Vehicles Bill. The bill would allow driverless vehicles to be covered by insurance, and would also extend the network of electric charging points. Britain is hoping to be in the forefront of the driverless vehicle industry, but the legislation seems to be stuck in slow-moving traffic. In May 2016 the government announced a Modern Transport Bill in that year's Queen's Speech, which eventually became known as the Vehicle Technology and Aviation Bill. That Bill was slowly crawling through Parliament when Theresa May called a snap general election in May. ​Now it has been rolled into the new Automated and Electric Vehicles Bill. In March 2016 the government announced it wanted to test "platooning" convoys of driverless trucks on British motorways. The "platoons" would be chains of driverless trucks linked up electronically, so they could synchronize their braking and steering as they used the slow lane of motorways. So far none of Europe's six main truckmakers have agreed to take part but work is progressing and the Swedish technology company Ericsson has linked up with Volvo to test driverless vehicle technology. Volvo is taking the lead on driverless trucks and is already piloting them in Sweden. Russia's Kamaz truck company has also been testing them and is planning to use them eventually on the Helsinki to Beijing route. Supporters of driverless truck technology say it will make the roads safer by removing the dangers of drunk drivers or tired truckers falling asleep at the wheel. But trade unionists believe the real reason they technology is being introduced is to save money by doing away with the driver's salary. ​Both the Teamsters union in the United States, which represents 1.7 million truckers, and the Unite trade union in Britain are very concerned about the impact on jobs. Earlier in June the Teamsters warned, in an article on their website, that a company owned by France's Air Liquide was planning to introduce driverless trucks to transport hazardous goods, including liquid propane gas. The Teamsters' International Vice President, Sean O'Brien, said: "Teamsters are opposed to the prospect of Airgas using autonomous vehicles to haul hazardous material on America's highways. "This poses a major threat to Homeland Security. If these 'driverless bombs' are controlled by GPS, satellite computers or other technology, it stands to reason that these driverless trucks could be rerouted and controlled by terrorists." But the American Trucking Association said the industry was actually struggling to find enough drivers — there is currently a shortfall of 48,000 and it is predicted to rise to 175,000 by 2024. 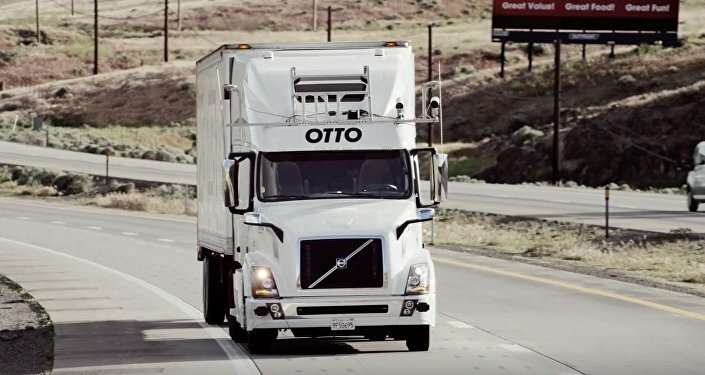 In the United States driverless truck technology is also being pioneered by Uber and its partner, California-based company, Otto. ​Uber bought Otto for $680 million in 2015 and last year the company ran its first automated truck journey, delivering beer in Colorado. The co-founder of Otto, Lior Ron, said last year: "The technology is ready to start doing these commercial pilots. Over the next couple of years, we'll continue to develop the tech, so it's actually ready to encounter every condition on the road. "You can imagine a future where those trucks are essentially a virtual train on a software rail, on the highway," he added. British haulage firms are eagerly awaiting the results of research and development work. Eddie Stobart operates almost 3,000 trucks in Britain, and its spokesman, James Andrew, said: "We are always looking at the future. "Our business has evolved quite dramatically in the last five years with the increase in demand across e-commerce and online fulfilment," he told Sputnik. Eddie Stobart delivers packages for a number of e-commerce operators to central distribution depots, where they are handed over to couriers to deliver to customers' doorsteps. Mr Andrew said: "We are always open-minded and want to do the best to satisfy our customers' future needs. "The stepping stone to fully automated trucks is probably more connected vehicles, which are consistently capable of absolute efficiency," he told Sputnik. A RoSPA spokesperson said: "Autonomous vehicles could significantly reduce (or even eliminate) human error, which causes a significant proportion of accidents. It could also improve mobility for people unable or unwilling to drive, enhancing their quality of life. "There is potential for better use of road space, reduced congestion and more consistent journey times, as well as reducing energy consumption and pollution. However, there are also risks, including road safety risks due to failures in the technology, road users not understanding how to cope with autonomous vehicles and a long transition period where normal vehicles are sharing road space with autonomous ones," they told Sputnik. "Any vehicles tested on the UK roads should be clearly marked as such, and there would need to be a major and ongoing education campaign to raise awareness of these vehicles, how they differ and how other road users should behave. "Testing of driverless cars with high automation would take place largely on existing roads and the vehicle would have to be capable of interacting with the existing infrastructure," they told Sputnik.